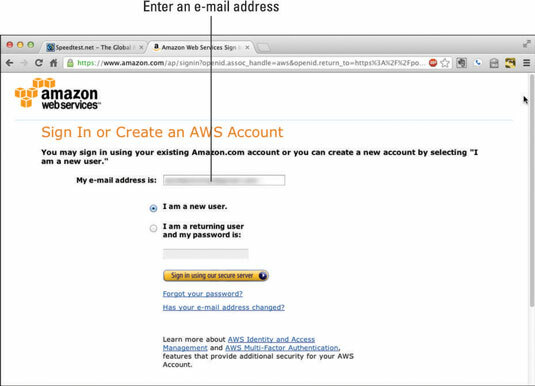 1Point your favorite web browser to the main Amazon Web Services page at http://aws.amazon.com. You should see a screen that looks something like this one. 2Click the Sign Up button. 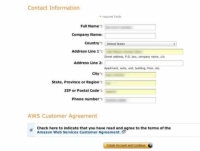 On the next screen (see this image), you’re given the opportunity to sign in with an existing AWS account or set up a new account. You’re setting up a new account. 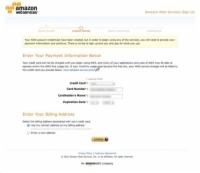 Technically, you can also use your existing Amazon retail account if you have one, although it’s not recommended that. Think about it — if you share your AWS account and use a retail identifier for it, down the line someone you’re sharing your AWS with may end up buying a nice big flatscreen TV on your dime. So the recommendation is that you set up a new AWS account. 3Make sure that the I Am a New User radio button is selected, fill in an appropriate e-mail address in the given field, and then click the Sign In Using Our Secure Server button. 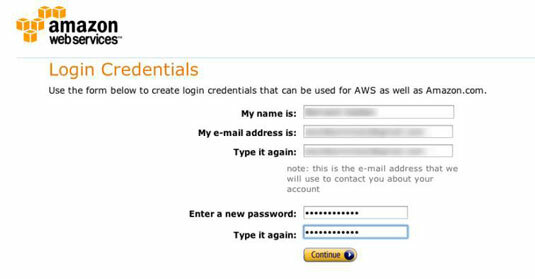 AWS takes you to a new page (see this image), where you’re asked to enter your login credentials. 4Enter a username, your e-mail address (twice, just to be sure), and the password you want to use. Again, twice, just to be sure. 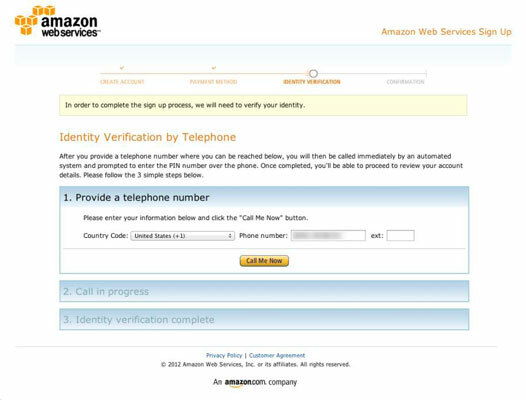 Doing so brings up the Account Information screen, asking for your address and phone number information, as shown in this figure. 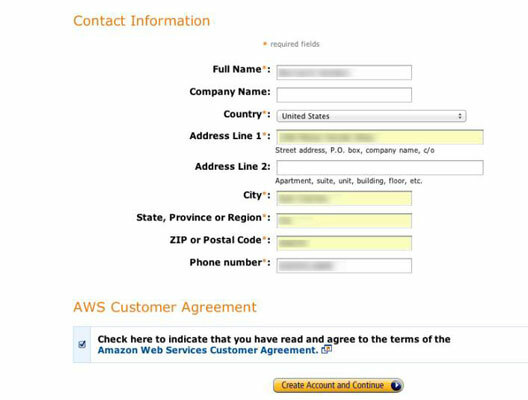 You’re asked to select the box confirming that you agree to the terms of the AWS customer agreement. 6Enter the required personal information, confirm your acceptance of the customer agreement, and then click the Create Account and Continue button. 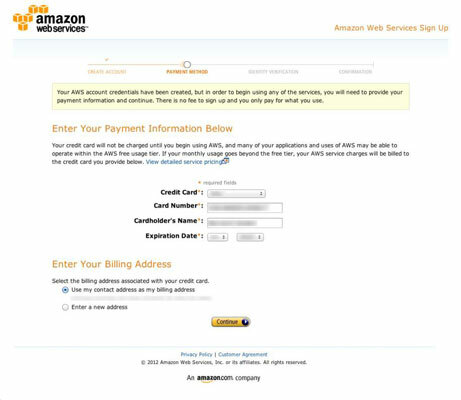 The next page (this image) asks you for a credit card number and your billing address information. Amazon has to be sure to get paid, right? 7Enter the required payment information in the appropriate fields and then Click Continue. The next page you see is a bit curious-looking. 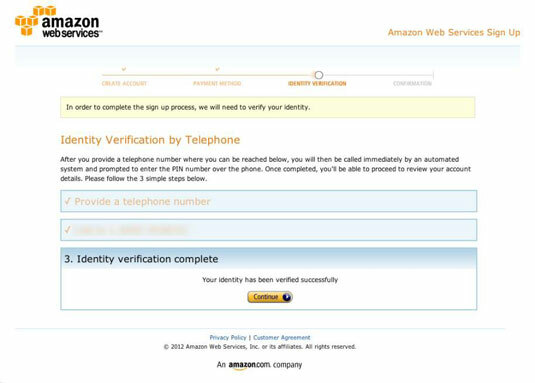 Amazon wants to confirm your identity, so it asks for a phone number it can use to call you. 8Enter your telephone number in the appropriate field and click the Call Me Now button, as shown in the figure. 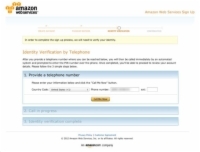 AWS displays a pin code on the screen and then calls you on the phone number you supplied. 9Answer the phone and enter the displayed PIN code on the telephone keypad. The AWS screen updates to look like this one. You’re asked to wait a bit to have your account set up by AWS, but, in my experience, this is no more than two or three minutes. You’ll then be sent an e-mail confirming your account setup; you have to click on a link in that e-mail to complete the account signup process. After setup is complete, you should see a screen that lists all the services you’re already signed up for automatically, just by creating your account. Quite an impressive list, eh?